Now for a bit of Legion/DC Comics trivia. 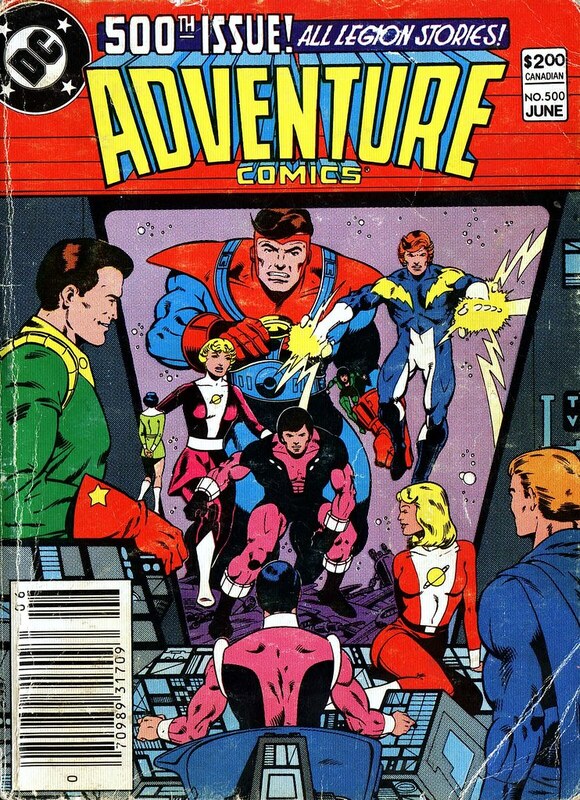 Adventure Comics was cancelled in 1982 with issue 490, but it was revived soon afterward in a small digest-sized format. 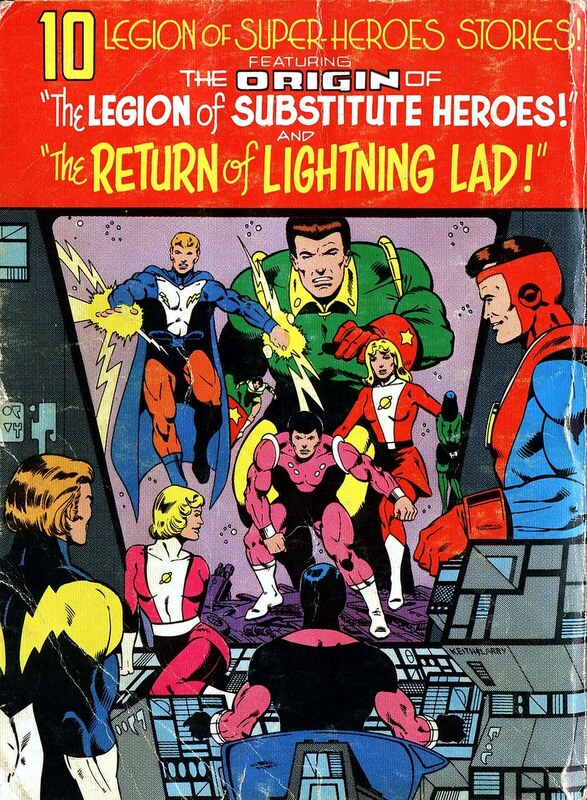 DC reprinted the Legion of Super-Heroes stories in chronological order, and Paul Levitz wrote an afterword explaining various bits of Legion history. Adventure Comics #500 was a milestone anniversary issue. To celebrate, DC had Keith Giffen draw the front and back covers of the digest. On the front side, the 60s era Legion looks through the time monitor at their 1980s era counterparts. The back cover flips the mirror around, with the new Legion looking at the monitor to the older version. Notice how all the characters are truly flipped around: Colossal Boy was standing on the left on the front cover, on the back cover he's standing on the left. Cowabunga! That blows my mind, man. Nuff Said!